I am Obakeng “OB” Tlhapane, Business Intelligence Manager at Samsung Electronics, SA. Fortunately, I’ve always been nocturnal so I exercise/run after work and on weekends and manage to work late nights at home, for however long it takes to get the job done. 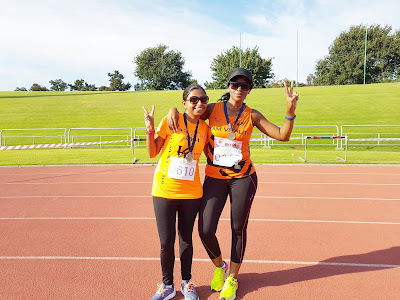 My best friend Pam signed me up for my first ever run/race (which was 12km) in 2015 which I enjoyed thoroughly. I then discovered ParkRun in May 2016 and came to realise that the idea was not to beat the other runners. I learnt that the competition was actually against the little voice inside me that constantly wanted to quit, and the addiction came from defeating that voice repeatedly. 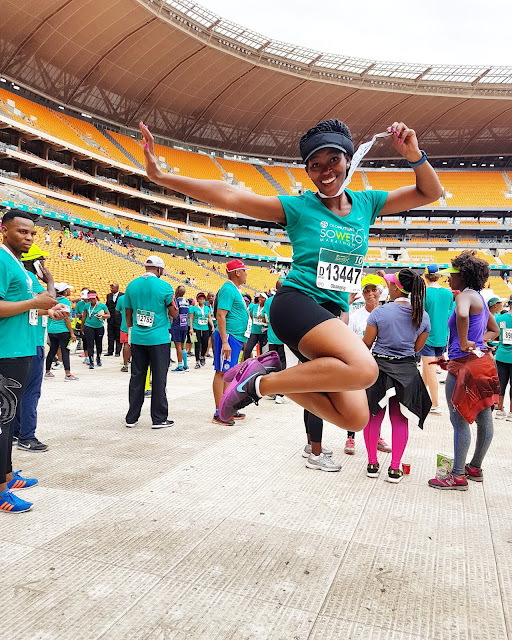 Firstly, it is a bible verse (1 Cor 9:24) that says: “Run with purpose” that motivates me to run. It holds great meaning. Secondly, I usually envision the body that I want to inhibit for the rest of my life and that’s a healthy, fit looking body. Lastly, I keep a large circle of fit friends. 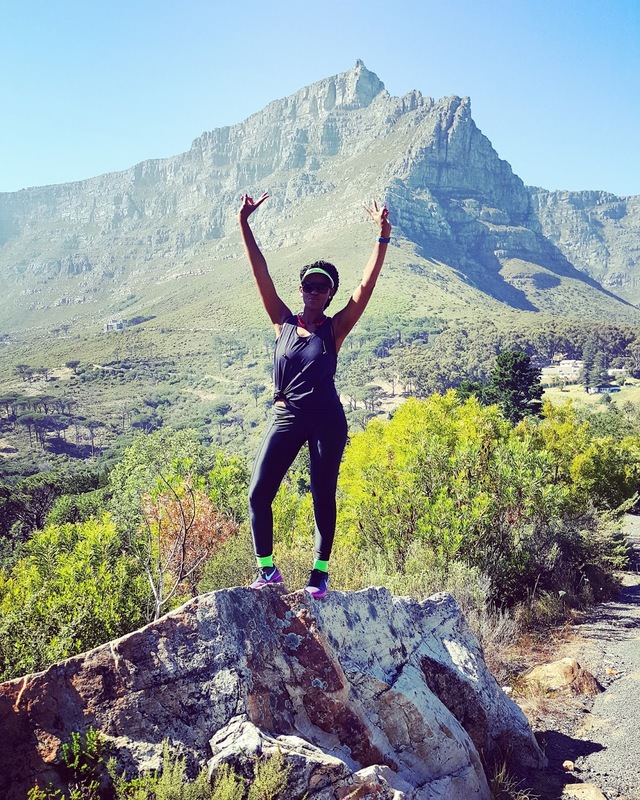 I have TP and Babs who are very consistent; then there is Lethu, a very close friend, gym buddy and a real confidante. We even police each other’s eating habits. 21km. I started at 5km and moved on to 10km. 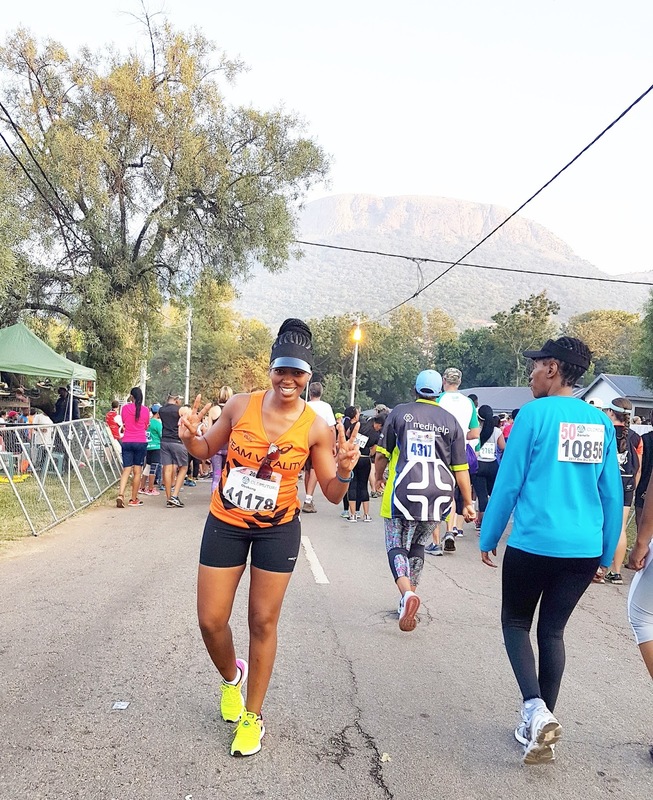 I then decided to challenge myself in 2017 and mostly run half marathons, and I have ran 6 21km races this year. As is, I have already registered for a 42km which will be my first full marathon. Running is a blessing and I am just grateful that I can PHYSICALLY run while others cannot. Many people yearn to do half the things we can, but are denied the privilege. It’s therefore not confidence but gratitude instead. I believe it is the easiest way to allow our bodies to be vulnerable to various attacks. Be it bad eating habits, or illnesses and diseases that would under normal circumstances weaken one’s immune system easily. I’d like to stick around long enough to see my Son grow into a great Man. The worst thing that would happen to me is being stuck in a body that I hated, yet still not creating time to do something about it. I cannot expect anyone to want it more for me than I want it for myself. I have two. 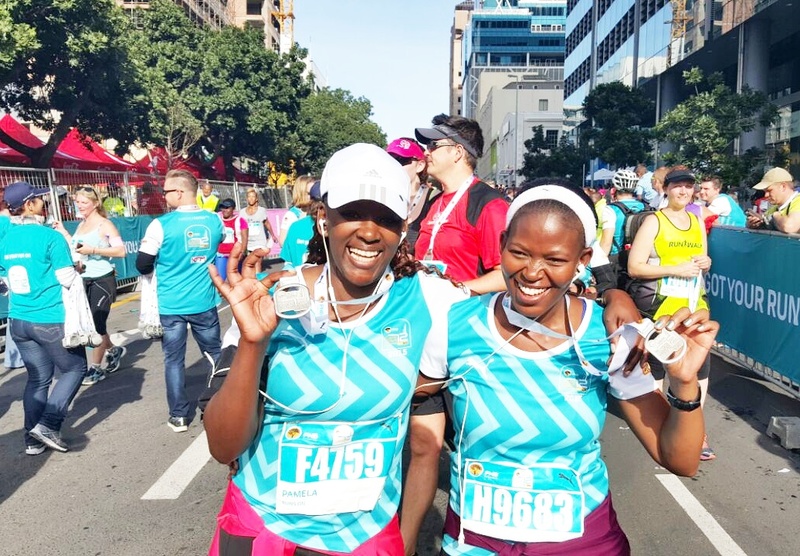 Cape Town 12 OneRun in 2015 and Soweto Marathon in 2016. At Cape Town 12, the atmosphere along the route was something I have never experienced before. I didn’t even know anything about running for time, I stopped to take pics with my bestie at most kilometre marks, we danced to bass bands and cheerleading groups… it was just unforgettable. At Soweto Marathon, it was the hype and the energy before the race, as well as the euphoria when entering FNB Stadium towards the end of my run. It was as though all those runners who were finished were cheering especially for me. I sprinted towards the finish line. The Alan Robb race immediately came to mind. I’d done cross-fit bootcamp training two days prior to race day, I know what you’re thinking “how could you?” Yes, I could have taken it easy with the weight lifting and the squats. 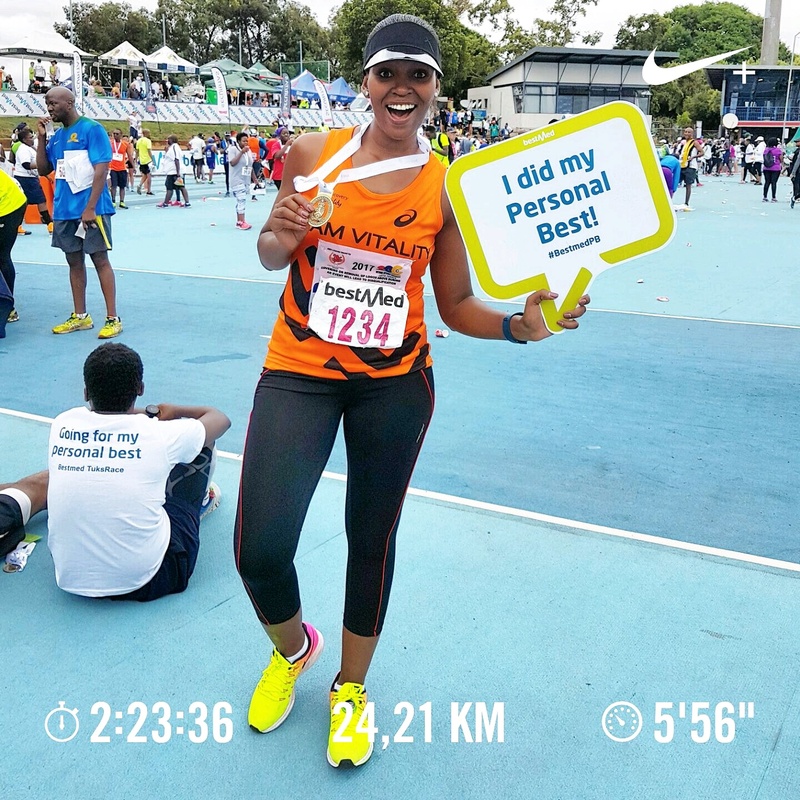 There were moments during the race when I felt like one more step would lead to my spine splitting in two, but I refused to give up and just ran/walked until the finish line. Another best friend of mine, Tejal was there with me and I felt so grateful that she stayed throughout. It is a mental thing without a doubt, a mind over matter kind of battle. It only hurts up to a certain point, and then the pain just doesn’t get any worse. The trick is just to keep moving. The idea is to start, and that’s first and foremost. 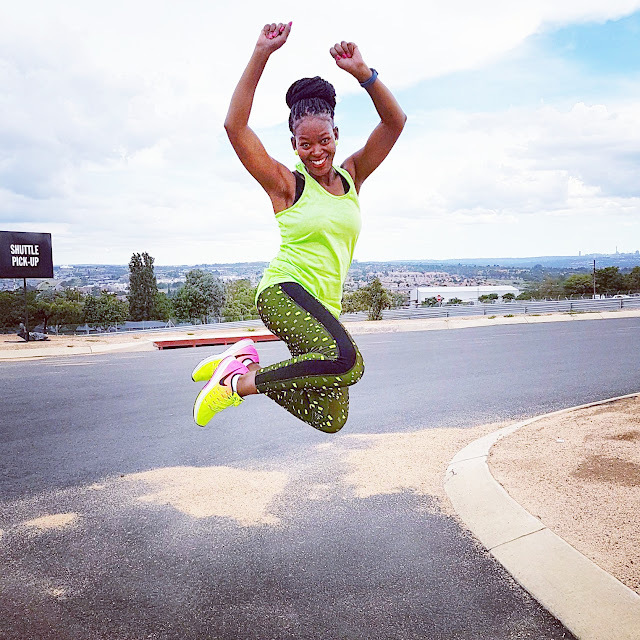 I also emphasise on the philosophy that you’re missing out on an opportunity to experience a feeling of overcoming the impossible, only because it is so hard in the beginning then it becomes highly addictive that you end up taking more doses of the distance. 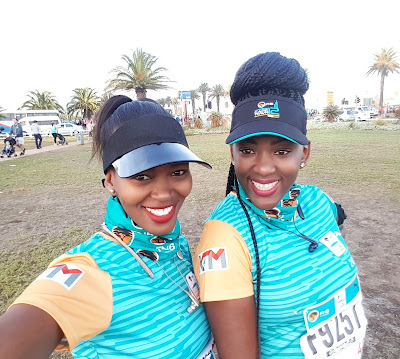 At some stage, you are someone’s motivating factor to also start running, it is a chained reaction and one can perhaps even look at it as paying it forward. Who wouldn’t want to be part of that #RunRevolution?